The Pentagon has used budget, schedule and national security concerns to justify the use of Russian rocket engines as its most viable option, despite Sen. John McCain’s personal vendetta to limit dependency on Russian tech in space. McCain, the Republican chairman of the Senate Armed Services Committee (SASC), has long since been proposing to get rid of reliance on Russian rocket engines, after the US retired its shuttle program in 2011. Currently Russia’s NPO Energomash has a contract to supply United Launch Alliance (ULA), a joint venture between Lockheed Martin and Boeing, with RD-180 engines for the Atlas V launchers. ULA has maintained that Russian engines are cheaper than the US alternatives, and the view is now apparently shared by the Pentagon. According to the Wall Street Journal, Deputy Defense Secretary Robert Work insists that the US does not have the budget to come up with a similarly reliable American made alternative. In a letter to Democratic Sen. Bill Nelson, Work wrote that developing an alternative to Russian engines would cost an extra $1.5 billion to $5 billion over roughly six years. According to other documents offered by Work to Nelson, RD-180s are vital in order to keep Pentagon satellite launches on track, otherwise sending them into orbit could be delayed by more than two years. The Pentagon official also argues that getting rid of Russian hardware could prevent the ULA’s Atlas V rockets from competing for launches by NASA or for commercial launches. If RD-180 contracts are scrapped “it is unclear whether” the ULA “would have sufficient funds available to continue to invest in” domestic launch vehicle, or “even to stay in business” according to the documents seen by WSJ. The Senate on Monday kicked off debate of the 2017 defense authorization bill, which sets policy and spending guidance for the entire Defense Department, including the budget for the RD-180 supply – as well as another series of engines RD-181s supplied to Orbital Sciences Corporation for the Antares rocket. American lawmakers banned future military use of the Russian engines after Crimea joined Russia in 2014. However Congress weakened the ban in 2015, after voicing concerns that it could drive ULA out of business. As debates over 2017 heat up, the US air force maintains that 18 Russian-built engines are necessary to launch Atlas V missions into space until at least 2022, when a viable US alternatives should become available. McCain camp argues that US can produce its own engines by 2019 and only nine more RD-180s are needed which is the number stipulated in the FY2015 and FY2016 NDAAs. In a crusade against Russian engines, on May 25 McCain filed an amendment to the SASC draft of the 2017 defense authorization bill which would require certification from the Treasury Department that any new purchase of Russian RD-180 does not violate US-imposed sanctions on Moscow. In particular, McCain fears that the Pentagon’s budget could go directly into the pockets of Dmitry Rogozin, the Deputy Prime Minister of Russia, who is in charge of the defense industry and Sergey Chemezov, CEO of Rostec Corporation, who were both sanctioned in 2014 over the Crimean affair. In 2015, Putin placed Rogozin and Chemezov in charge of Russia’s space industry. But in February, the US Treasury Department reviewed the case of Chemezov and Rogozin and reported to the Defense Department that sanctions imposed on both men did not apply to the engine sales. Bruce Gagnon, coordinator of the Global Network Against Weapons & Nuclear Power in Space, told RT that McCain’s push to get rid of dependency on Russia in the space sphere is just part of a wider US-led “demonization” campaign against Russia. At the same time the US is reliant on Russian engines to keep up its spying efforts, the expert added. “The US military is so reliant on Russia for engines to be able to launch its military satellites into space that the US uses to keep an eye on Russia and China, that it is driving them crazy,” Gagnon said. The expert believes that the US push to privatize the space industry means that Washington will chose the “lowest bidder”. That is, one who is tempted to “cut corners on the technology, on the quality of the technology” which would inevitably result in accidents. 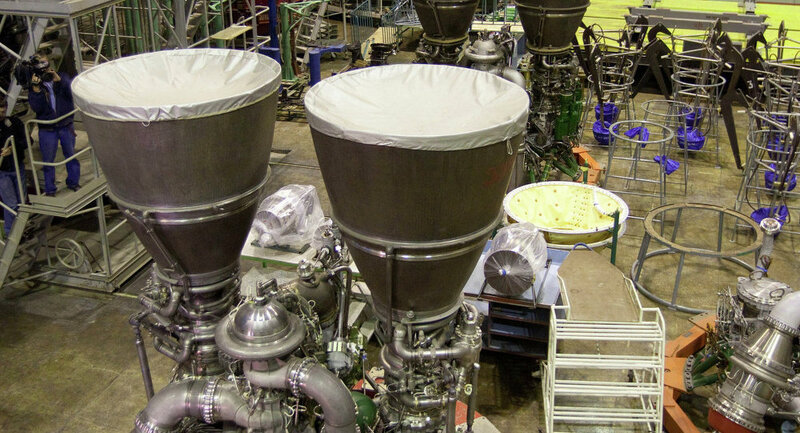 The US company Orbital Sciences Corporation will buy eight RD-181 liquid rocket engines from Russia’s Energomash. MOSCOW (Sputnik) — The US company Orbital Sciences Corporation will procure eight Russian-made RD-181 rocket engines, Russia’s space and rocket engine company, Energomash, said Wednesday. “Orbital Sciences Corporation decided to realize the option for the procurement of eight RD-181 liquid rocket engines from Energomash. The option is to be realized within a contract signed in 2014 on the RD-181 delivery for use in the first stages of the carrier rockets Antares [produced] by Orbital Corporation,” the Energomash’s statement reads. The Russian manufacturer added that last month representatives of the US company visited Russia and highly estimated the quality management system in place at Energomash. In 2015, Energomash delivered four such engines to the United States, according to the statement. 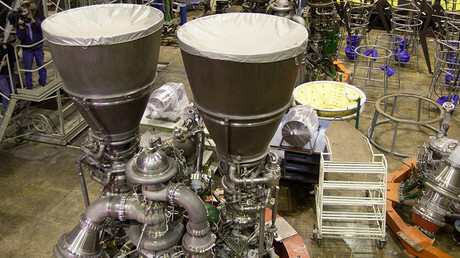 At the time of signing the contract worth around $1 billion in December 2014, Orbital said they had looked at several other propulsion providers but had decided to use the RD-181 engines because the Russia-designed engine offered “the best combination of schedule availability, technical performance and cost parameters as compared to other possible options.”The RD-181 deal is the second large-scale deal Energomash has made with a US company. In the late 1990s, the company won a contract with United Launch Alliance to supply RD-180 engines for Atlas rockets. This contract, also valued at about $1 billion, is still in place. The US imposed sanctions on Russia on the pretext of the Donbass conflict and the purchase of the engines was prohibited; however, Washington had to remove them from the list as they proved indispensable for US space flights. A key US lawmaker wants to slow the Pentagon’s phaseout of Russian-made rocket engines to ensure America’s access to space and eliminate a possible national security risk, US media wrote on Thursday. Senator Richard Shelby, a senior member of the Senate Appropriations Committee, plans to propose amendments to the federal spending bill that would allow United Launch Alliance (ULA), a joint venture between Boeing and Lockheed Martin, to keep buying RD-180 engines from Russia until a domestic alternative is available, Defense News reported, citing the Senator’s office.The Russian engines have powered dozens of ULA’s satellite launches of military hardware over the past decade, but recent tensions with Russia and the emergence of a second launch company, California-based SpaceX — prompted Congress last year to push to phase out the RD-180 engines. Congress has approved a defense authorization bill that would allow ULA to buy a maximum of four more Russian engines beyond its current allotment. ULA chief Tory Bruno has said that could mean the company will run out of the engines by 2019, up to three years before a rocket powered by domestic engines now being developed by aerospace company Blue Origin is ready to compete. The result, he said, could be the same monopolistic environment the Pentagon wants to eliminate, with SpaceX instead of ULA handling all the launches. According to US the Air Force, America needs up to 18 additional RD-180 engines through 2022 “to prevent interruptions in the satellite launch schedule,” Defense News reported.